100+ children Clean for the Queen! 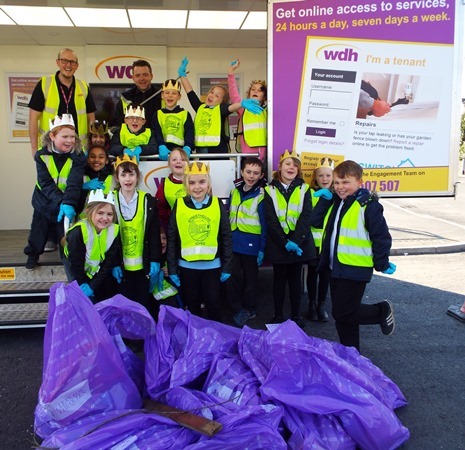 During the past two weeks 188 children from Normanton, Featherstone and the surrounding area have teamed up with WDH to take part in Clean for the Queen, a national incentive to clean up the country in celebration of the Queen’s 90th birthday in April. 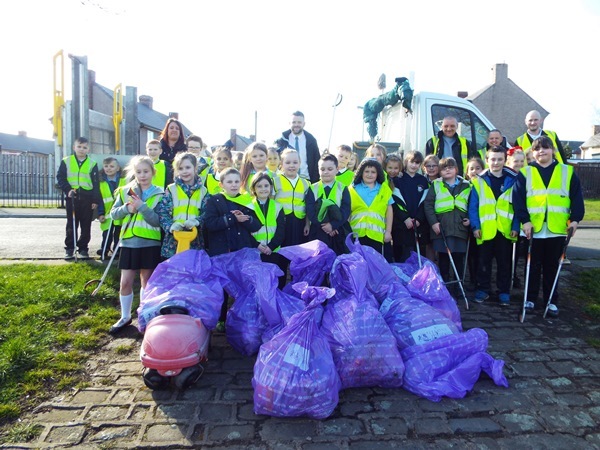 Over one hundred children from Normanton Common Junior Academy, Girnhill School Featherstone, North Featherstone J&I School, Normanton All Saints School, All Saints School Featherstone and Streethouse School have collectively picked over 248kg of litter from their local area, which was a fantastic effort from everyone involved. WDH’s Mobile Hub was also at the litter picks for residents to come along and find out more about our services or for help with getting online.